Invitation to the September 18, 2011 celebration. 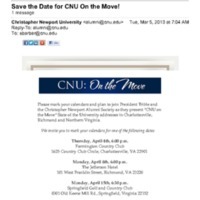 5.1 C-7 Save the Date for CNU On the Move! 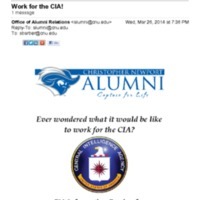 5.1 C-7 Work for the CIA! 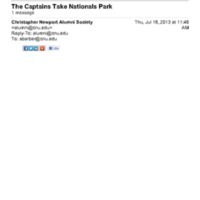 Christopher Newport Alumni on March 31, 2014. 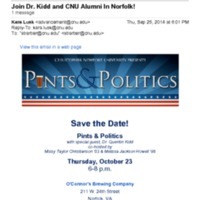 5.1 C-7 Join Dr. Kidd and CNU Alumni In Norfolk!